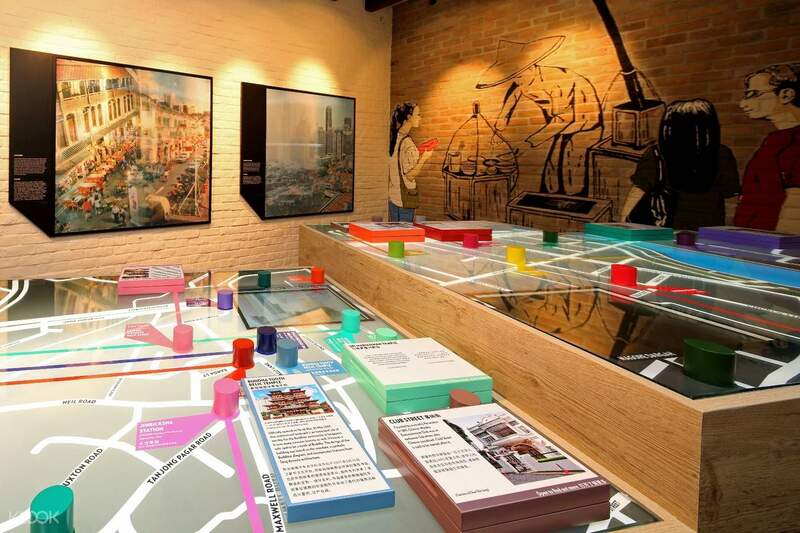 Revisit your history lessons on Chinese civilization in Singapore at the Chinatown Heritage Centre! Took me a while to find this attraction as the restaurants and stores block it from view. The Chinatown Heritage Centre for me is one of the most fascinating interactive museums in Singapore! Spent nearly three hours here. Step into the charm of Chinatown within the buzzing corners of Singapore! Dive in the nostalgia as you revisit the rich culture and history of early Chinese settlers at the Chinatown Heritage Centre. Brush up on your history knowledge as you discover the incredible Chinese footprint in the 6,000sqft exhbition that is integral to the attraction. Many of the immigrants battled through hardships driven by famine and floods, who left their homes and crossed overseas in hopes of a better life. Located within three restored shophouses with recreated interiors from the 1950s, the Centre offers a rare glimpse of early Chinese presence in the country. Not to be missed if you visit Chinatown! Good place to learn about Chinese history and Chinese lives in Singapore. As soon as you step inside, you will feel like you are travelling back to the old day. 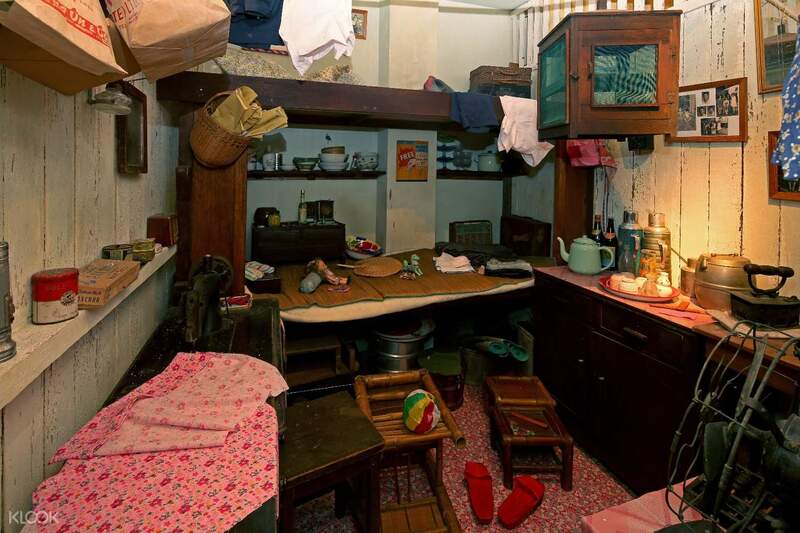 It has 3 floors which first and second floor divide into rooms and each room presented difference Chinese occupation, their belonging, and how they lived their life on that days. 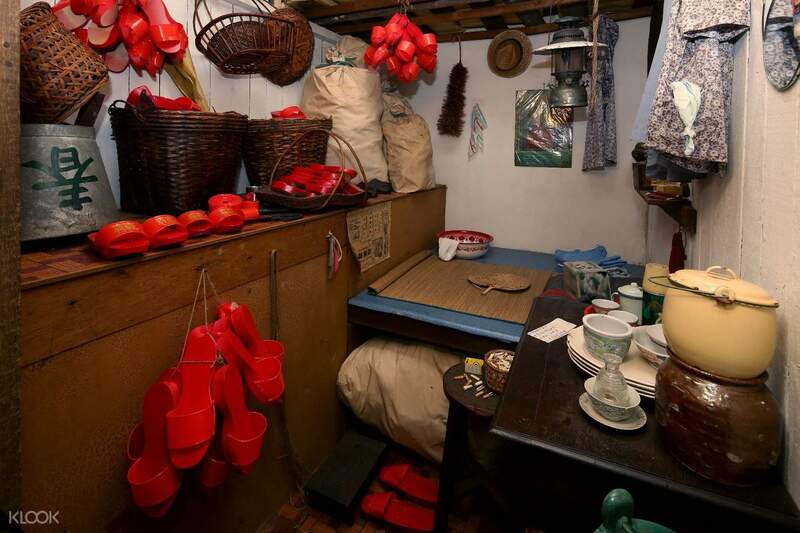 At third floor you can see and learn the history of Chinese immigrant who came to Singapore.. Why they came, when they came, how they came, what they did as soon as they arrived, etc.. You can get all the answers here.. The ticket I bought from Klook included audio guide which really useful. Highly recommended. Not to be missed if you visit Chinatown! Good place to learn about Chinese history and Chinese lives in Singapore. As soon as you step inside, you will feel like you are travelling back to the old day. It has 3 floors which first and second floor divide into rooms and each room presented difference Chinese occupation, their belonging, and how they lived their life on that days. 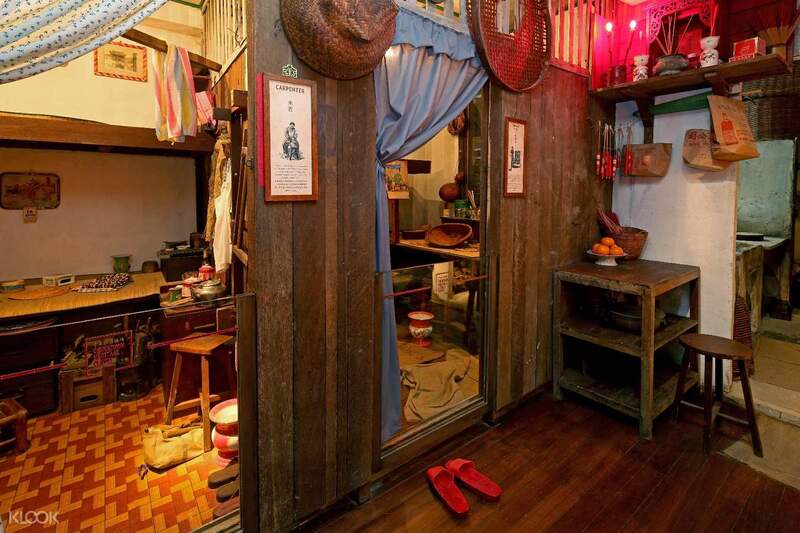 At third floor you can see and learn the history of Chinese immigrant who came to Singapore.. Why they came, when they came, how they came, what they did as soon as they arrived, etc.. You can get all the answers here.. The ticket I bought from Klook included audio guide which really useful. Highly recommended. good visit if you have spare time with you and done with other attractions in Singapore. it gives you a good flavor of how the early migrants used to live in the country and what is the present state. the market area outside the center is interesting one with lots of gifting options available. there is a Hindu temple and a mosque near to the center you can visit. good place for Chinese food. good visit if you have spare time with you and done with other attractions in Singapore. it gives you a good flavor of how the early migrants used to live in the country and what is the present state. the market area outside the center is interesting one with lots of gifting options available. there is a Hindu temple and a mosque near to the center you can visit. good place for Chinese food. cheaper than admission price ($13) paid only sgd$2.77. easy redemption. the audio guide was good. cheaper than admission price ($13) paid only sgd$2.77. easy redemption. the audio guide was good. Great experience and very informative. Located right in Chinatown you learn a great deal of information about Chinese immigrants. There’s an audio you pick up when you enter which is great because it gives you commentary of what you’re seeing! Great experience and very informative. Located right in Chinatown you learn a great deal of information about Chinese immigrants. There’s an audio you pick up when you enter which is great because it gives you commentary of what you’re seeing! It was a most impressive museum! We were able to keep the attention of our toddlers and 8 year old for 2 hours! They were intrigued by the real life exhibits as we adults were amazed by the sense of smell incorporated in the experience. The interactive elements made it easy for the kids to enjoy the experience. Thank you for all the efforts ! Awesome job! It was a most impressive museum! We were able to keep the attention of our toddlers and 8 year old for 2 hours! They were intrigued by the real life exhibits as we adults were amazed by the sense of smell incorporated in the experience. The interactive elements made it easy for the kids to enjoy the experience. Thank you for all the efforts ! Awesome job! Educational and refreshing to know the history and people of Chinatown. the shophouses seems impossible but of course they have to make it possible during those times. Educational and refreshing to know the history and people of Chinatown. the shophouses seems impossible but of course they have to make it possible during those times. The museum was an interesting insight into the past when Chinese first came to Singapore . Was very well set out and informative with individual commentary headsets and can walk around at your own pace. Easy to get to via Chinatown MRT and located near the markets. All family enjoyed this even the younger kids. The museum was an interesting insight into the past when Chinese first came to Singapore . Was very well set out and informative with individual commentary headsets and can walk around at your own pace. Easy to get to via Chinatown MRT and located near the markets. All family enjoyed this even the younger kids. Very informative and interactive tour with the MMG. Worth the visit! Very informative and interactive tour with the MMG. Worth the visit! A very nice museum showing the old Chinese living places for different groups of people such as hawkers (coolies), home office of Chinese medical doctors, tailors, Ma-Jie 媽 姐 (those unmarried ladies for acting as domestic workers), and their home environment. Quite interesting. A very nice museum showing the old Chinese living places for different groups of people such as hawkers (coolies), home office of Chinese medical doctors, tailors, Ma-Jie 媽 姐 (those unmarried ladies for acting as domestic workers), and their home environment. Quite interesting.